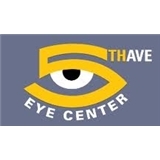 5th Avenue Eye Center (Glendale) - Book Appointment Online! 5th Avenue Eye Center offers the most technologically advanced diagnostic equipment in order to provide the best possible care for our patients. We offer comprehensive eye care services including contact lens fitting, laser vision correction and cataract surgery with premium lens implants. We also offer the most modern treatments for a variety of eye diseases such as glaucoma, macular degeneration, diabetic retinopathy and dry eyes.